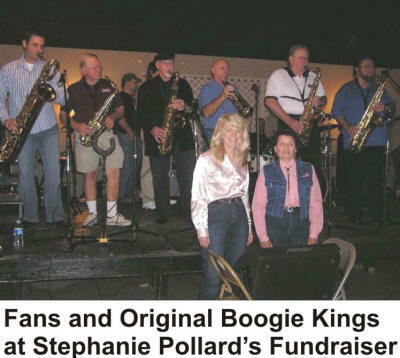 The Original Boogie Kings gave their time and talents on November 15, 2009 for the benefit of Mike Pollard’s daughter in law, Stephanie Pollard (Mrs. Brett), who is fighting cancer. L.J.’s Casino on Hwy. 1 between Marksville and Mansura provided the setting for the event which lasted from 1:00 – 6:00 P.M. Sunday afternoon. 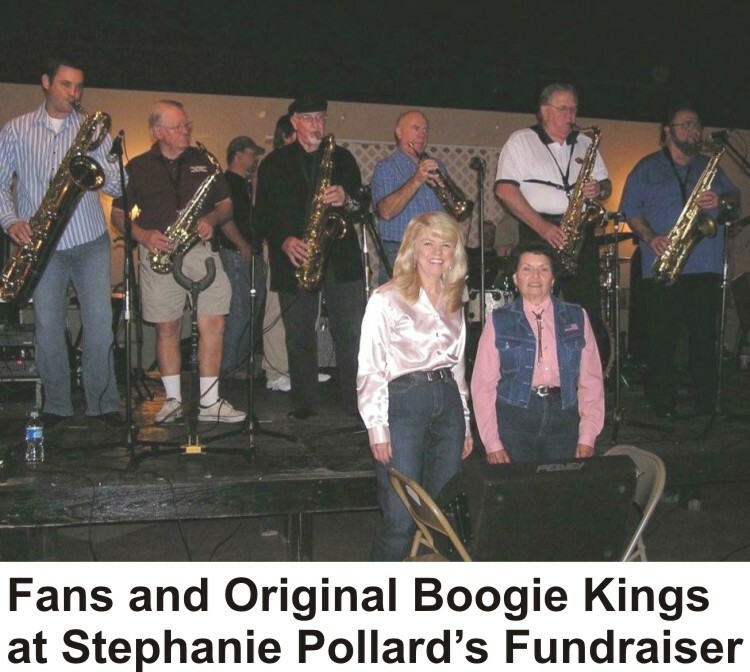 Pictured with some of the musicians who played are “Original Boogie Kings” fans, Bonnie Aymond Ducote and Annabelle Jeansonne Blanchard. Musicians (L-R) included Alex, Earl Taylor, Sid Janise, W.J. “Dub” Dugas, Mike Pollard and Willie Tee. Other musicians who played were Parker James, Jamie Richardson, Steve, Doug Ardoin and Tommy Richard. Mike Pollard (a friend of Dub’s since high school) has been a saxophone player with a variety of bands including the Swing Kings and the Original Boogie Kings. Persons who were not able to attend are encouraged to consider making a donation to this need. Donations should be sent to Mike Pollard, 1141 Pecan Dr., Marksville, La 71351. Thank you for your consideration. Photo provided by Bonnie Aymond Ducote.